Cricket is certainly a game of uncertainties. You will find multiple occasions when a main or a frontline bowler is unable to produce a breakthrough or break a partnership and that work is sometimes done by a part-time bowler, someone who rarely turns his arm over. Many times, part-timers are introduced into the attack just to give the frontline bowlers a breather but they end up taking key wickets. Part-timers are sometimes called as the golden arm for the team. India have had a lot of part-timers in the past and a lot of captains loved using part-timers. Hence, here we look back at some of the part-timers who did well for the ‘Men in Blue’ in the World Cups. Here is a list of five. Dinesh Mongia was a utility cricketer for India. He might not have taken the world by storm but he was used to going about his job quietly. He played for almost seven years but he was at his peak under Sourav Ganguly’s leadership as he played most of his games in 2002 and 2003. He played just one World Cup and that was in 2003 when India reached the finals. While he could bat anywhere in the order, his left-arm spin was pretty handy as well. He had the knack of keeping things very quiet and also picking up an odd wicket here and there. The Chandigarh-born player bowled in 6 World Cup games and sent down 32.1 overs. He picked up 5 wickets and had an economy of 4.19. His best bowling performance in the World Cup came against Namibia (2/24) but in that famous game against Pakistan, he picked up the prized scalp of Shahid Afridi. 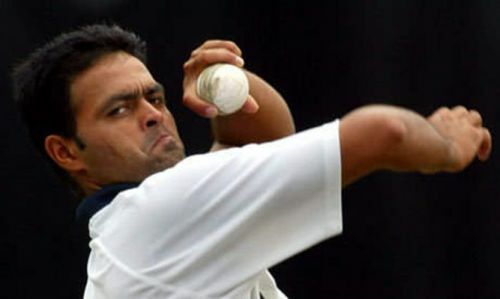 Hence, he was a more than a useful bowler and 5 out of his 14 ODI wickets came in the 2003 World Cup.